Before my husband and I landed in the Netherlands, we stopped in Iceland. As we were traveling from the west coast of the USA, Icelandic Air, offered us the best price to travel to the Netherlands. 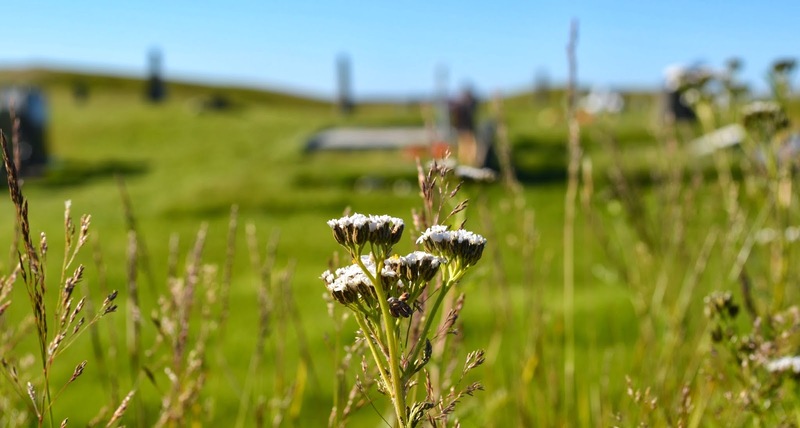 We decided to have a long layover at our one stop along the way, Keflavik International Airport and tour the Reykjanes Peninsula. We took a guided tour bus for the day's activities. To our surprise and delight, we were the only customers and had the attention of our entertaining driver all to ourselves. We began our tour by visiting a traditional fishing community, Sandgerdi. The color of the water was sapphire. Fishing in Iceland is a large industry with most of the fish being sold directly to Europe. An historic church sits outside of Sandgerdi. 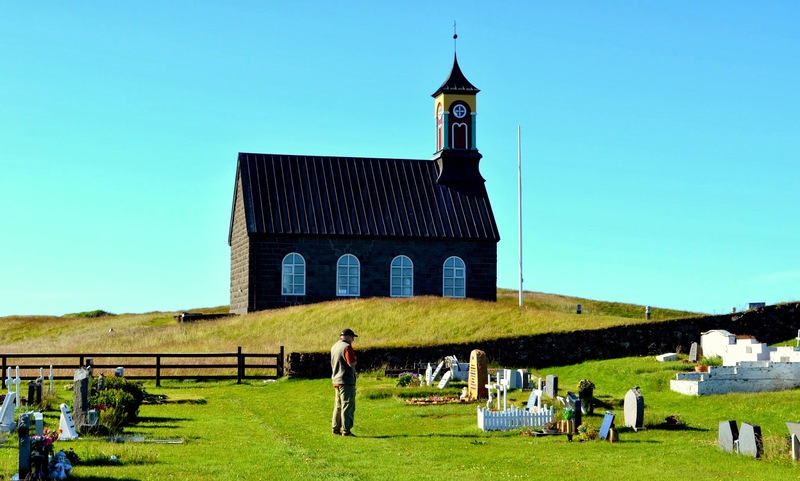 Some of the countries oldest churches are located on the Reykjanes peninsula. We continued on our tour around the peninsula. I will fully admit to being completely out of my element when it came to understanding the Icelandic language. Our tour guide (as most people native to Iceland are) was fluent in English. She reminded us of the history of their language and how many cultures used to speak it. It was fascinating and beautiful to listen to and while I could not make heads or tails out of reading the language, I could hear words, borrowed by the English language. The colors of the landscape in Iceland were amazing. 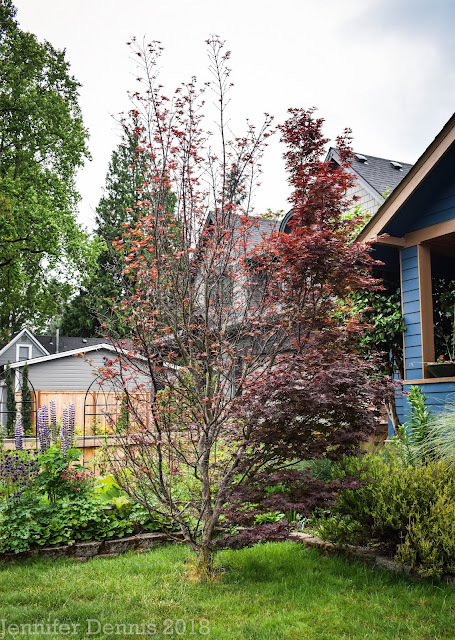 The hues of the seas were bold and bright, while the land colors were softened by heather-ed hues. No tree's were found on the peninsula, the landscape was rocky and barren. I found it a rugged and yet, serene. 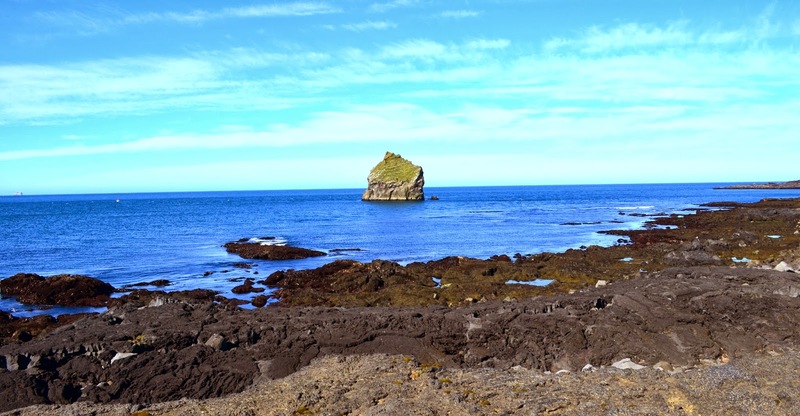 The coast line was rocky, primarily (according to my geologist husband) basalt. Icelandic Coastline with the island, Eldey, in the distant background. 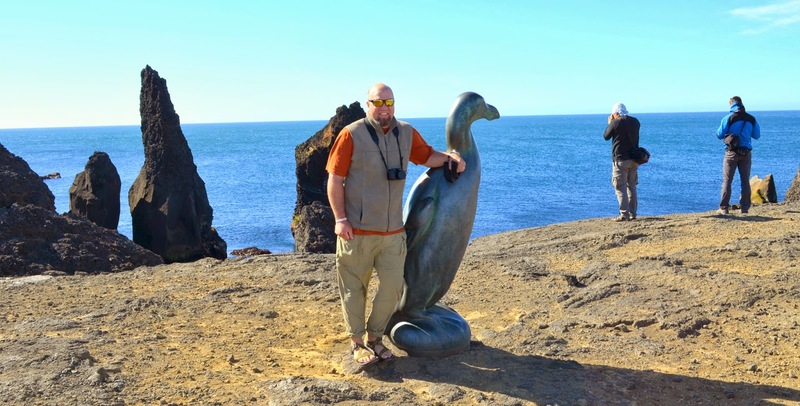 We stopped along the coastline to enjoy the statue honoring the last Great Auk. We moved along to the Reykjanes lighthouse situated near the Valahnúkur cliff. From there we went inland to a place of very interesting geological significance. The Mid-Atlantic Ridge. 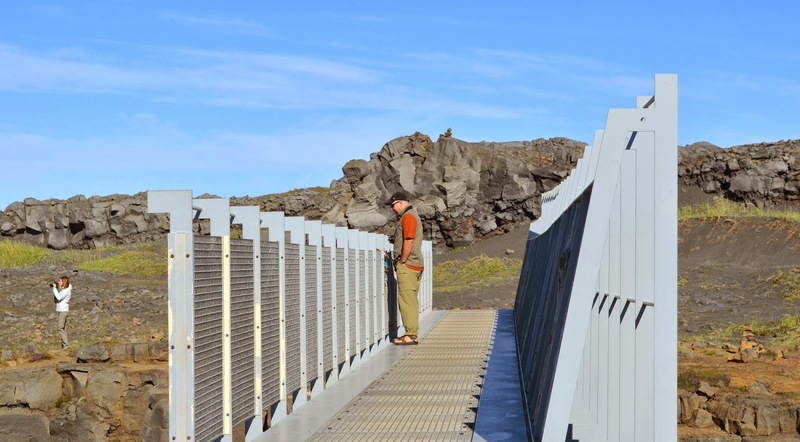 My husband is in geological heaven as he stands over the Mid Atlantic Ridge. I was more interested in the wildflowers, but the significance of standing over a place where the earth's crust is moving apart was not lost upon me. Next up was a look at the geothermal hot spots on the peninsula. Our tour guide shared stories of local lore about the area, lot's of ghostly tales! The hiking trails were exciting, stinky with lot's of sulfur smells, but really cool to walk through the steam. I wanted to have myself a bit of a spa treatment as there was plenty of hot mud! One of the most popular tourist spots in all of Iceland is the Blue Pool, the last stop on our tour. It is a geothermic spa. While the husband and I are not huge fans of popular tourist destinations, the Blue Pool was impressive and if I'd had the time, I would have stayed for a bit of spa treatment. All this day trip around the Icelandic peninsula did was wet our appetite to see more. The colors of the landscape and ocean were breathtaking, and the culture is so intriguing. I have to see and experience more. Here are links to my earlier posts about our trip to the Netherlands. Beautiful Jennifer. My friend is planning a trip there, and I'm going to send her the link to your blog. Cheers.